Interested and eligible candidates are requested to appear before the selection committee on 05-12- 2017 at 11:30 AM for the following posts for Himalayan fellowship “Lepidoptera (Insecta) as potential IndicatorTaxa for tracking Climate Change in the Indian Himalayan Landscape” under NMHS programme at the Zoological Survey of India, Head Qtrs., ‘M’ Block, New Alipore, Kolkata-700053, West Bengal, India. Prior work experience in the Indian Himalayan Region/ Knowledge / experience / interest in taxonomy/ecology/DNA Barcoding/Molecular phylogeny/climate change with at least one publication in SCI journal. Proven experience in Data analysis, GIS, Bioinformatics, Science writing and communication. **M. Sc. in Zoology/ Life Sciences/ any branch of biological Sciences with a minimum of 60% aggregate marks from a recognized University. Experience /knowledge/interest on field data collection for DNA Barcoding/ Bioinformatics/Taxonomy/Molecular Phylogeny/ Ecology/GIS/ Climate change. * Candidate with Ph.D. thesis submitted may also apply. ** Desirable qualifications are only indicative in nature. In case of exceptional candidates, these may be relaxed. UGC/CSIR NET JRF/GATE qualified candidates would be awarded fellowship in line with DST norms, while otherwise competent/ suitable candidates would be provided fellowship as mentioned above which are likely to be amended as per ZSI norms. Duration: Initially up to 31st March 2018, may be extended for further period(s) based on satisfactory performance of individual and funding. 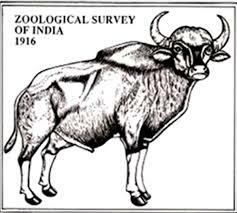 Date & Place of Interview: 05-12- 2017 at 11:30 AM at Zoological Survey of India, ‘M’ Block, New Alipore, Kolkata-700053.